1. There was some famous bands there! My God but Donie Horan was some man to book bands in his day! Howard Jones, The Communards, Meat Loaf, The Damned, Housemartins, Dexys Midnight Runners, UB40, The Pogues, Status Quo, Big Country, Transmission Vamp and many, many more. And most of them played at a time they were having Top 10 hits in Ireland and the UK. The place would be heaving as we watched artists who, just days before, appeared on Top Of The Pops. Imagine something similar happening now? Nope, neither can I.
You’re in the queue and you no more look 18 than Michael Jackson looked black. One option: Brazen it out, look bouncers Larry and Ted straight in the eyes, smile, say “lads, how’re things?” and walk in. Of course, it rarely worked and Larry would say “stand over there a minute” while he let others in. Then, channelling, Robbie Coltrane’s character from ‘Cracker’, he would look into your soul, carefully deconstruct your lies and leave you wandering back to chance getting into Harry Roche’s to drown your sorrows. Or he’d say, “alright, g’wan in so” and everything would be hunky dory. 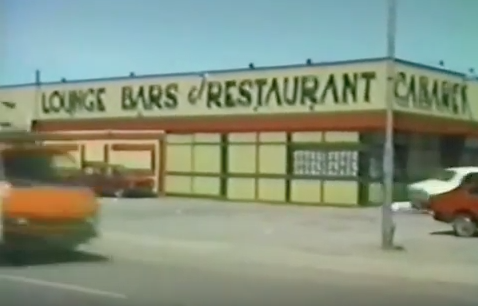 Located directly across the road, the name was quite apt for this fast food joint – there was plenty ‘upchucking’ around the place due to the volume of pints of Harp consumed during the night. Much like people leaving the Munster final with a few minutes to go to avoid the traffic, the smarter people (and the ones who had already pulled) left the club a bit earlier before the madness started, to get their curry and stuffing snack box. This proved a satisfying accompaniment to watching gangs of young men knocking several shades of shite out of each other after the club closed. The early 90s brought forth a dark time when a great pestilence fell over the main bar in Horan’s. I refer, of course, to ‘Friday Night Karaoke’. Grown men and women – possessing voices which ranged from a grizzly bear with Tourettes, to a bag of rabid cats thrown downstairs by goading crows – confidently climbed on stage to deliver renditions of ‘Simply The Best’ without a hint of irony. They may have been abuse of alcohol involved. New Order’s ‘Blue Monday’ would finish and the DJ – who actually spoke between tracks – would say “it’s time to slow things down”. The constipated drawl of Bryan Adams would fill the club and empty the dance floor…momentarily. This was the cue for cider-fuelled boyos – and it would always be men doing the asking – to either run to the bar or scan the room for girls, before walking with jelly-legged panache across the dance floor to chance their arm. If she said yes, you’d get a ‘shift’. Rejection and you’d move on to someone else. Simple. I think the demise of the slow set resulted in the demise of nightclubs in town. For some reason, Horan’s thought it would be a good idea to show us what A Flock Of Seagulls looked like while we danced to them. What the hell was that all about? The 80s was a time for bold fashion statements. Unfortunately, judging by the clothes worn by some women in Horan’s, the statement was “I like wearing loads of clothes all at the same time” while the men’s attire said “I’m not interested in being attractive to women!”. Horan’s finally started catering for the alternative set back in 1992 when the ‘Fresh n Funky’ club night started. Snap!’s ‘Rhythm Is A Dancer’ was swapped for The Breeders ‘Cannonball’, Cypress Hill, Rage Against The Machine, A Tribe Called Quest, Dee-Lite and of course US3’s ‘Cantaloop’. We could do with another night like this now. Just to don the rose-tinted, nostalgia spectacles for a minute, it really was a great time and more innocent before club culture took off in earnest in Tralee in the mid-90s (although I think were a lot more fights outside in the early 90s). 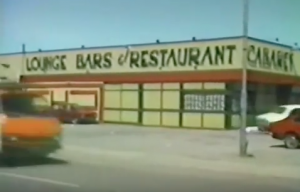 Maybe Horan’s should stage a one-off mass 80s night – video disco and all – for the older generation…and keep the pints at 1989 prices of £1.40!